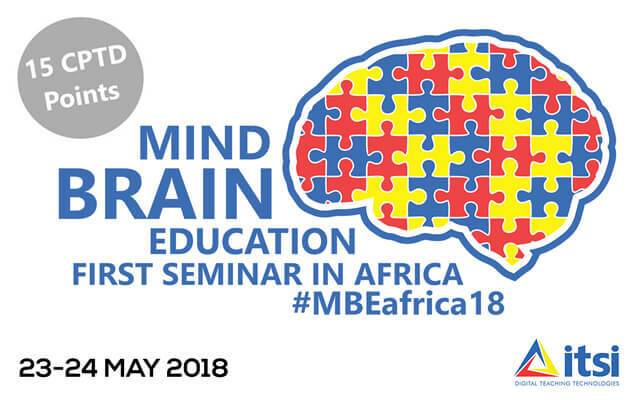 ITSI, the pioneering e-learning provider which enhances and simplifies the teaching and learning experience for both students and educators, will be hosting the first ever seminar in Africa on Mind-Brain-Education. The seminar will be targeted at teachers and lecturers from primary, secondary and tertiary educational institutions, and will focus on how educators are brain changers. It will explore how an understanding of the brain – the organ of learning – would be critical to a teacher’s readiness to work with students.